We offer high quality Rotary Vacuum Paddle Dryer to our valuable patrons. For low temperature drying of various products, these rotary vacuum paddle dryers are widely used in various industrial applications. Offered by us at industry leading prices, these products are highly demanded in the market. RCVD suitable for drying of materials which cannot resist high temperature, material which are easily oxidized, volatatile materials which should be retrieved, materials strong irritant and poisonous in nature. The rotocone dryer with improved technology integrates during operation under vacuum. We are credible Rotary Vacuum Dryer Manufacture, Exporter and Supplier in the market. The Rotary Vacuum Dryer, which we offer to the clients, is made from the best components that improve its durability. The Rotary Vacuum Dryer maintains efficient low temperature for drying heat sensitive materials. 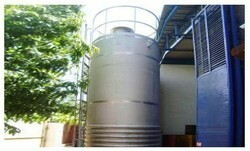 Rotocone Vacuum Dryer, Capacity: 25Ltrs. To 4000 Ltrs. Capacity: 25Ltrs. to 4000 Ltrs. 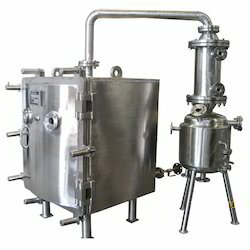 - GMP unit, ideal for pharmaceuticals, food products. Rotocone Vacuum Dryer is suitable for drying the material which can not operate at low Temperature easily oxidized, poisonous in nature. It operates at low Temperature efficiently under vacuum. It is very economical by total solvent recovery. Capacity: 25 ltr. to 2500ltr. Vacuum drying cabinets are highly versatile in application and are employed over wide temperature and Vacuum range. They are used mainly for high grade tem and oxygen sensitive products. Highly suitable for drying are hygroscopic substances, which are dried to very low residual moisture, content levels. Capacity: 25 LTR. TO 2500 LTR. High evaporation rate can handle temperature sensitive products. Application: The Rota Double Cone Vacuum Dryer is suitable for drying the material which can not operate at low Temperature easily oxidized, poisonous in nature.